This tutu bag is the perfect bag for any little girl who loves Alice in Wonderland! Monogrammed canvas bag is approx. 10.5 X 8.5 X 2. 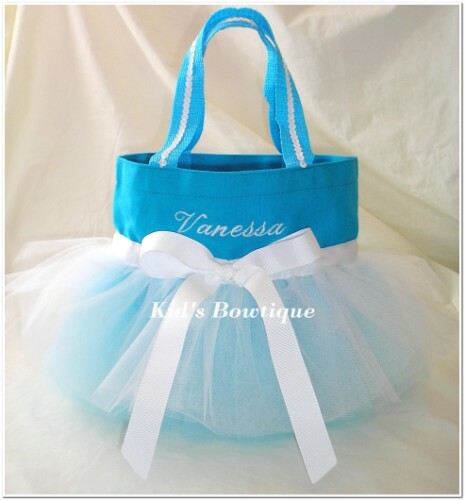 Our unique tutu bag is made of aqua blue canvas for durability, white tulle tutu skirt for uniqueness, white ribbon/bow for style, and embroidery for personalization! Note: The white sequins on the handles are no longer added.